As promised, blogging resumes shortly… but in a new site and with a new format. You can find the new blog here: it’s called The (De-) Fossilization Diaries, and charts the attempts I’m making to improve my faltering Spanish. Hope to see you there! Según lo prometido, mis blogs se reanudan en breve … pero en un nuevo lugar y con un nuevo formato. Se puede encontrar el nuevo blog aquí: se llama The (De-) Fossilization Diaries, y documenta mis esfuerzos para mejorar mi español titubeante. ¡Espero veros allí! Check out the banner that now adorns the town hall in our village. It reads ‘Un país per tots. L’escola en català’. Roughly: ‘A country for everybody. Schooling in Catalan’. Given that Catalonia is a multilingual region, with a population almost evenly divided between those whose mother tongue is Catalan and those whose mother tongue is Spanish (not to mention a host of minority languages including Urdu, Arabic, Mandarin and Romanian), the slogan has a kind of topsy-turvy logic that George Orwell would have appreciated. Something like: ‘In the name of diversity, uniformity’. (For a breakdown of Catalonia’s mother tongues, see here). A common language benefits a country and its people. In our country this common bond is more important than in most because Americans continue to be diverse in origin, ethnicity, religion and native culture. In much the same way, the Catalan government justifies its policy of ‘linguistic normalization’: politicians regularly invoke the fact that Catalan is ‘a guarantor of social cohesion’ and ‘a model of integration for new arrivals, avoiding their segregation on the grounds of origin, culture or language’. (As Mercè Vilarrubias  points out, in her persuasively-argued book on the subject, the terms bilingualism and segregation are frequently conflated in the discourses of Catalan nationalism). LECTURA- – En España hay niños de la apacible Castilla, la admirable Cataluña, la encantadora Vasconia y la pintoresca Galicia. Sus madres les enseñaron a hablar y rezar como aprendieron de sus mayores; pero en la clase el maestro les enseña todos la lengua castellana. Esta lengua tan bella, dulce y sonora, es común a todos. Hablándola nos entendemos, aunque no nos conozcamos, como se comprenden los hijos de una misma madre. ¡Seamos siempre dignos de nuestra madre España! Gramática Española, Segundo Grado, Editorial Luis Vives, S.A., Zaragoza, 1947. But, whether under threat or not, the Catalan-only policy (and the English Only one in the US) runs counter to prevailing thinking that early education is best mediated, where possible, in the home language. Research in the US, where a number of states have opted for some form of immersion, is fairly conclusive in showing that, as Shin (2013. 165) summarizes the evidence, ‘English-only education neither leads to faster learning of English nor produces better academic results for language minority children’. Findings such as these no doubt motivated the UNESCO ‘Year of Languages’ commitment towards ‘developing language policies that enable each linguistic community to use its first language, or mother tongue, as widely and as often as possible, including in education’ (UNESCO 2008). Of course, the powers-that-be in Catalonia argue that the need for social cohesion outweighs the need for equity in education. And social cohesion is (in their view) entirely contingent on there being a common tongue (ignoring, for the moment, such relatively cohesive multilingual precedents as Switzerland, Finland and Singapore). Besides (they argue), why should children be schooled in Spanish, when they will pick it up anyway, ‘on the street’ as it were? – an argument that elides the fact that ‘street Spanish’ is a far remove from the kind of Spanish that might later be needed in higher education or for professional purposes. In fairness, Spanish is taught as a school subject in Catalonia, but this does little to mitigate the fact that, at primary level, over half the population is being educated in a language that is not its mother tongue — a situation that in fact contravenes Article 32 of the Catalan constitution (l’Estatut), which rules that no one should be discriminated against for ‘linguistic reasons’. Nevertheless, language planners and their political masters doggedly refuse to implement practicable bilingual educational programs of the kind that function perfectly well in countries as widespread as Finland, Canada, Wales and Israel, as well as in other regions of Spain. In their eyes, any attempt to institute bilingualism (as guaranteed by Spanish law, and as commonplace in many countries round the world) is tantamount to committing linguistic suicide. And national suicide, as well: as Blackledge and Creese (2010: 26) remind us, ‘in public discourse, language often becomes inseparably associated with a territorially bounded identity in a relationship that takes language, territory and identity to be isomorphic’: one people, one nation, one language. While this may have been the norm in some distant, possibly prelapsarian past, a whole host of factors, including immigration, colonization, and globalization, now militate against monolingualism. (Iceland is possibly the only country in Europe – and one of the few in the world – where nation, territory and language are homogeneous). Multilingualism is — and always has been — the norm. Nor should it be feared. Just as in the natural world, plurality is evidence of a healthy ecosystem (‘as diversity increases, so does stability and resilience’ [Lovelock, 1988: 488]), so, too, with societies. As William Labov (1982) put it, ‘heterogeneity is an integral part of the linguistic economy of the community, necessary to satisfy the linguistic demands of everyday life’. There are those who would argue that, in the interests of bilingualism, a more acceptable, less politically-sensitive alternative to Spanish is English, and that the promotion of English-mediated content-and-language-integrated-learning (CLIL) in Catalonia should appease advocates of linguistic diversity. But English has had a poor history of co-habitation with other languages (witness the English Only movement in the US) and, besides, this does not satisfy the need for early education in the mother tongue. If the government is truly committed to improving education why put unnecessary obstacles in the way? A less divisive, more inclusive, and more coherent sign on our town hall might read: Un país per tots. Escola en totes les llengües. (‘A country for all. Schooling in all languages’). Maybe all languages is a tall order, but at least both. Anything less is a mandate for monolingualism. Blackledge, A., & Creese, A. 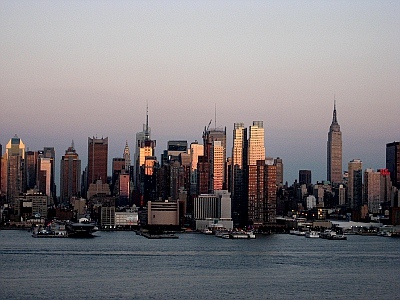 (2010) Multilingualism: A Critical Perspective, New York: Continuum. Labov, W. (1982) ‘Building on empirical foundations’ in Lehman, W.P. & Malkiel, Y. (eds), Perspectives on Historical Linguistics, Amsterdam: John Benjamins (17-92). Lovelock, J. (1988) ‘The Earth as a living organism’, in Wilson, E.O. (ed.) Bio-diversity, Washington, DC: National Academy Press. McKay, S., & Bokhorst-Heng, H.D. (2008) International English in its Sociolinguistic Contexts: Towards a socially sensitive EIL pedagogy, New York: Routledge. Shin, S. J (2013) Bilingualism in Schools and Society: Language, Identity and Policy, London: Routledge. Vilarrubias, M. (2012) Sumar y no restar: Razones para introducir una educación bilingüe en Cataluña, Barcelona: Montesinos. How can this be? Well, of course, one judge was the culprit’s father, the other his mother. (I’ve adapted this from an original which was about two surgeons, but you could create a similar puzzle involving two nurses, or two plumbers, or two manicurists, and so on). The puzzle plays on the fact that, while in English most professions are not marked for gender, we are disposed to assume (foolishly, of course) that the representatives of certain professions are either male or female, by default. The puzzle wouldn’t work in Spanish, where – apart from anything else – the determiner clearly flags the gender of el juez and la juez. (Not to mention the feminine ending, in the case of the relatively recent form: la jueza). 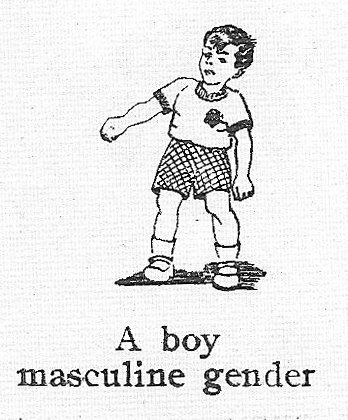 On the other hand, because the masculine form is the unmarked (i.e. the default) form, when you have a group of judges or architects or surgeons, they are automatically ‘masculinized’, whether or not the group includes any women members. So the puzzle becomes: Dos jueces caminaban por la calle, y los dos dijieron… (Two judges were walking down the street, and both said ‘That’s my son!’ etc). That the masculine is the default form in Spanish accounts for all sorts of oddities, such as the fact that a parents’ association in Spain is una asociación de padres, even though the only people who attend are las madres. Or that, when you walk up to a crowded stall in the market, you ask ¿Quién es el último? (Who’s the [masculine] last? ), even if the bulk of those in line are women. The invisibility of women that is instantiated in such usages is, of course, way out of step both with reality and with feminist aspirations. 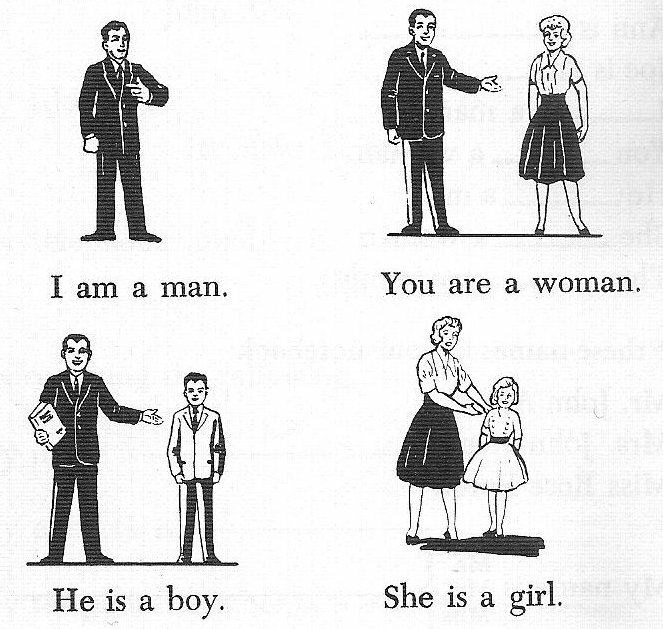 Consequently, this linguistic bias has prompted the publication, in Spanish as in English, of a number of ‘style guides’ that promote the use of non-sexist and inclusive language. The Spanish style guides, however, have irritated the self-appointed guardians of ‘la lengua’, i.e. the Real Academia Española (RAE), to the point that, a couple of weeks ago, a leading Spanish grammarian and lexicographer, Ignacio Bosque, was moved to write a long piece in the national press, signed by 24 of his fellow ‘academicians’, taking these style guides to task. Unsurprisingly, this put el gato (or la gata?) among las palomas (or los palomos?) and, as they say here, the debate was served. Inelegance, it is true, often results from the doubling up of gender-marked nouns in the interests of inclusiveness (los hermanos y las hermanas de mi padre y mi madre son mis tíos y mis tías), and an extract from the Constitution of Venezuela that takes this trope to an extreme is quoted with derision. But worse than inelegant, many of the recommendations are (according to Bosque) simply wrong, and ‘contravene the norms laid down by the RAE’. In 2008 the then Minister for Equality was roundly mocked for addressing her parliamentary colleagues as ‘miembros y miembras’ (members). The RAE declared this attempt at greater visibility ‘incorrect’. That coinages like miembra or jueza are wrong simply because they are coinages overlooks the fact that new words are being coined at an astonishing rate (8,500 English words a year, according to a recent study). Language changes, resist it as we may. Of course, it is not always that easy to unpick the deeply embedded cognitive structures of a language, especially those encoded in its grammar. 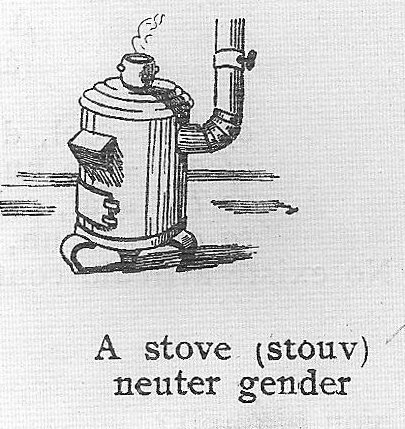 Attempts to invent gender-neutral pronouns in English have failed miserably. But change does occur, relentlessly, even at the level of grammar. Apart from a few residual suffixes, English lost its gender distinctions long ago, as did Persian, while some languages (e.g. French and, hey!, Spanish) collapsed a three-way distinction into two. Will there still be grammatical gender in Spanish in 500 years? Place your bets. Anti-feminists are fond of observing that eliminating generic masculine pronouns does not secure equal pay. Indeed it does not – whoever said it would? 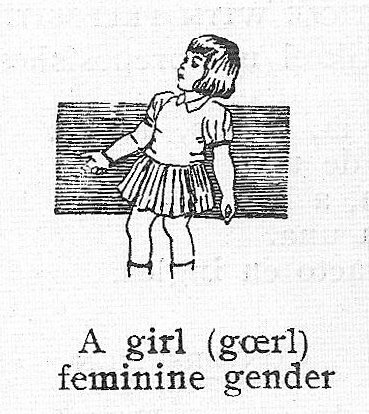 Eliminating generic masculine pronouns precisely eliminates generic masculine pronouns. And in so doing it changes the repertoire of social meanings and choices available to social actors. Moreover, as she writes elsewhere (Cameron 1995: 143), ‘changing what counts as acceptable public behaviour is one of the ways you go about changing prevailing attitudes – ask anyone who still smokes cigarettes’. Finally, a great deal of the debate about the RAE communique hinges on the claim that language is ideologically neutral. ‘La gramática no tiene ideología’[i] ran a headline in El País (March 13, 2012). But this is debatable. Languages reflect the cultures out of which they have emerged and bear the traces – the scars, even – of their origins. A language which divides all of creation into two genders, and then selects one of those genders as the preferred form, is ideological to the core. Cameron, D. (1990) ‘Demythologizing sociolinguistics: Why language does not reflect society’, in Joseph, J.E., and Taylor, T.J. (eds.) Ideologies of Language, London: Routledge. Cameron, D. (1995) Verbal Hygiene, London: Routledge. As a precaution against the recent hurricane that threatened his city, the mayor of New York, Michael Bloomberg, “issued warnings and press statements, often in basic, un-accented [sic] Spanish”. This prompted a Spanish-speaking New York resident to launch a Twitter feed that caricatured the Mayor’s “broken Spanish”. “The feed soon went viral and has attracted a large online following” (according to the BBC’s website). As a second language user myself, and as a language teacher, teacher trainer and methodology writer, it offends me when anyone who attempts to communicate in a language that is not their own (whether they be mayor, football coach, actor, ex-pat, or student) is mocked in this way. However ‘bad’ his Spanish is, surely the mayor should be congratulated, not caricatured? I tweeted to this effect – that I didn’t find it particularly funny, and that this seemed to be a case of ‘damned if he does, damned if he doesn’t’. However, a fellow tweeter in Brazil, Higor Cavalcante, went so far as to blog his disagreement, arguing that, as mayor of a city with a large Hispanic population “Mr. 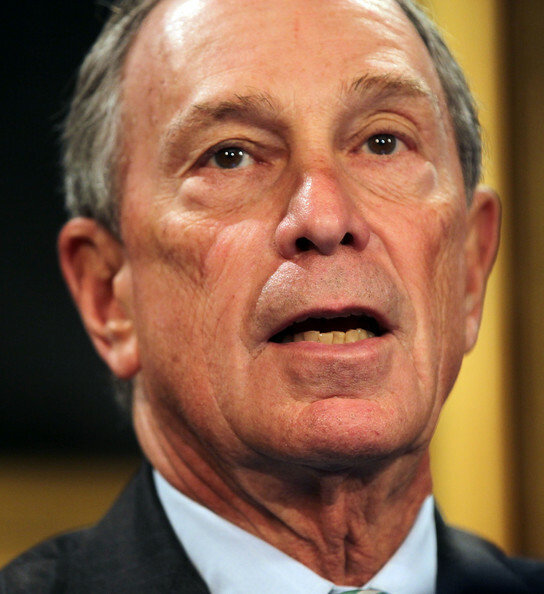 Bloomberg has the obligation to speak excellent Spanish”. (Not to mention Chinese, Greek, Yiddish and Korean either, I suppose). Excellent Spanish. Not just good, or passable, but excellent. I suspect Higor is a good language learner. He certainly writes beautifully in English. But maybe Mayor Bloomberg is not a good language learner. I’m sure he would love to be able to speak excellent Spanish, but maybe for him excellence comes at a cost – a cost that even his billions can’t meet. Yet should he be penalised for trying? Good language learners often find it difficult to understand what it’s like to be a bad language learner. They think you can just flip a switch and out it flows. As a bad language learner myself, I run up against this constantly. Ok, I said it. I am a bad language learner. I am a bad language learner for a variety of reasons, biographical, psychological and maybe even physiological (I have terrible ‘phonemic coding ability’ – maybe related to the fact that I can’t sing in tune either!). It’s not that I haven’t tried. I’ve been to classes, I’ve done conversation exchanges, I’ve studied the grammar, I’ve memorised lists of words, and I read five to ten thousand words of Spanish daily. Yet I’m still barely B2-ish, speaking-wise, exacerbated by an uncompromising anglo accent. But I get by. I’ll always sound like a guiri (or gringo) but I can live with that, despite the scorn heaped on me by other, more proficient Spanish speakers. (Once a Californian woman, on hearing me speak, held up her arms in the shape of a cross, as if to ward off evil spirits). As I said, good language learners seem to think that anyone can learn a language to C2 level in a matter of months – and that the failure to do so betrays some moral weakness. But for us drones, it will take years and years, and we may still never get beyond B2 (or even A2 for that matter). However, we shouldn’t be discouraged from trying. Mockery doesn’t help. Nor the implication that our lack of success is a moral failing. Besides, how many hundreds of hours would it take to bring Mayor Bloomberg’s Spanish up to a level that would satisfy his critics? And doesn’t he have better things to do with his time? He’s the mayor of New York City, for heaven’s sake. His time is cut out just getting the trash collected and the subway running on time. If New Yorkers want a Spanish-speaking mayor, let them vote for one. When two people speak with each other in a language that is foreign to one of them, either or both may be laying their lives on the line – at least their lives as speakers of that language. Such an understanding therefore calls for sensitivity on both sides. Sensitivity here means more than just seeing the dangers and shying away from them. It includes sensitivity to what the other person is able to do, and is ready to try. On the plus side, I think that being a bad language learner has made me a good language teacher. I am very, very sympathetic to the drones. I know what they’re going through. I am endlessly patient and encouraging. I would never mock them, because I know how de-motivating it can be. So, Señor Alcalde, all power to you – I applaud your bad Spanish! At least you are trying. Stevick, E.W. 1980. Teaching Languages: A Way and Ways. Rowley, MA: Newbury House.